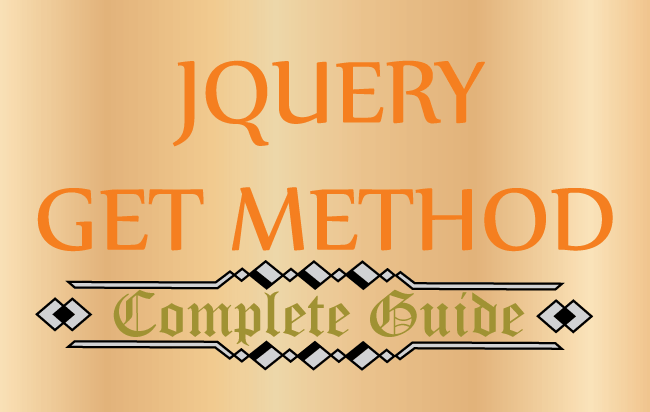 You will now learn all the ways to use the jQuery Each method from this tutorial. This is the most complete guide to master this method. I’m going to show you 7 ways to use jQuery Each method in your website. In short: if you want to implement .each() method, then you’ll love this guide. 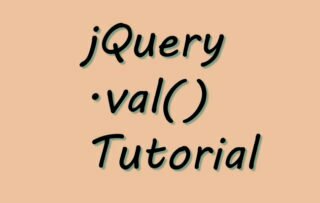 The jQuery each() is used to iterate over each element of an Object, array like Objects and arrays. It can also be used to loop over DOM elements. function(index,element) A required function to run for each matched element. index – The index position of the selector. element – The current element of the selector. Let’s iterate over all the anchor tags in a page, and extract their href attribute’s value. When executing the above code in a web page, it gives the following output. 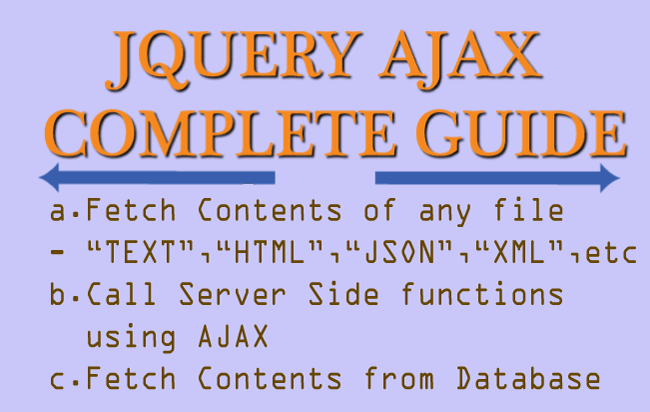 The jQuery each method can be also used to iterate over arrays, objects and array like objects. You can use the jQuery Each method instead of the For Loop. Let’s find out how it is possible. The above for loop iterates over every div element in the page. This can be done by the .each() method also. You can do the chaining of the .each() method, and this is not possible with the for loop. See the below code which sets the background to purple color, for every odd paragraph element. 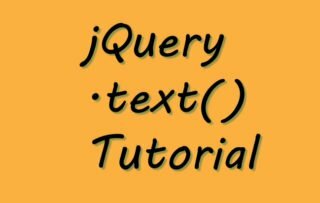 Use jQuery Each to iterate over JSON and extract information from it. In the below code I will show how to extract Country name and their capitals from a JSON. I used a nested .each() for extracting information from the varaible’s value (which is a JSON). The outer .each() loops through each JSON object while the inner one gets their values. jQuery .each() lets you to iterate over XML files too. Let us see an example. I have an XML that contains countries and their capitals. In this example I have used .find() method to find the country node in the XML. Then I am iterating over each of them with .each() method. Inside the .each() block, I extracted the name and capital using .find() method. Elements which are assigned a certain class can be iterated with the jQuery each method. Use jQuery Each for creating rich animation effects. In the below example there are 3 blocks, on clicking the button I toggle their width with easing animation effect. I also applied index-dependent delay of 800 milliseconds on each of them (0,800, 1600 milliseconds). This gives me eye pleasing toggling animation effect. I took a sum variable, then iterated over the numbers array and kept on adding them to the sum variable. Finally outputting the sum at the end. It is not necessary to wait for the whole loop to execute. You can leave the loop early by using the return false; statement. Suppose you are searching for a name in an array of strings. You use the jQuery Each method for looping, once you find your name you can get out of the loop with return false;. I am searching name ‘michael’, for this I am checking each name with an if statement. When found, I am coming out of the loop through return false; statement. It clearly shown the loop is executing till the index number 3 and then coming out. 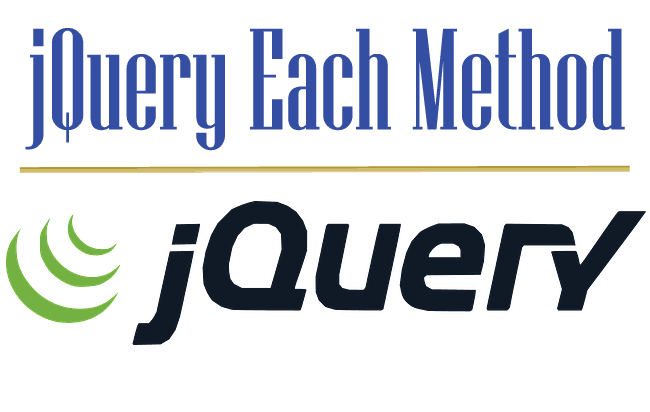 The jQuery Each method is such a valuable method and you can use it to make your code much shorter and smarter. Do you have any question? Use the comments section to reach out to me. Let your friends know about this method so kindly share this tutorial on your social accounts, sharing links given below.